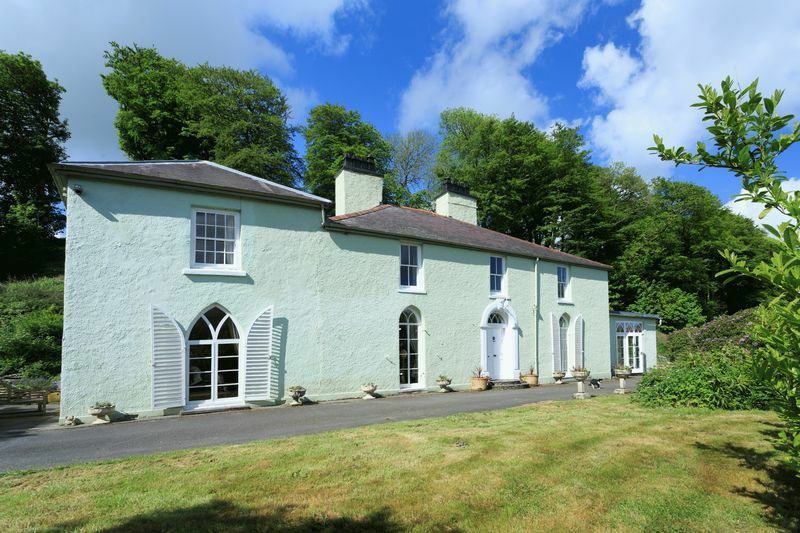 Well..........its not often that you find a historic 7 bedroom Country House set in around 5 acres of land within a very short walk to the beach at the popular coastal village of Tresaith......however Glandwr is such a fine example ! 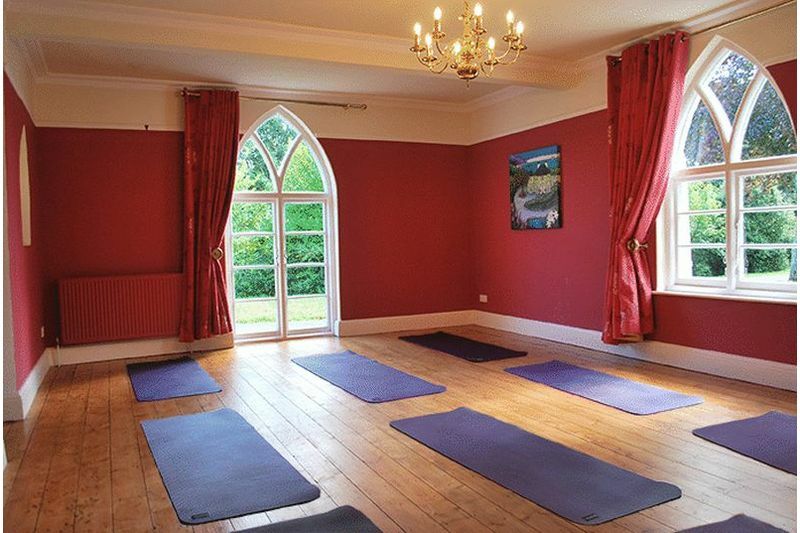 Currently used as a country house B&B and for yoga/well being retreats this house is presented to a very high standard with some lovely original features throughout. 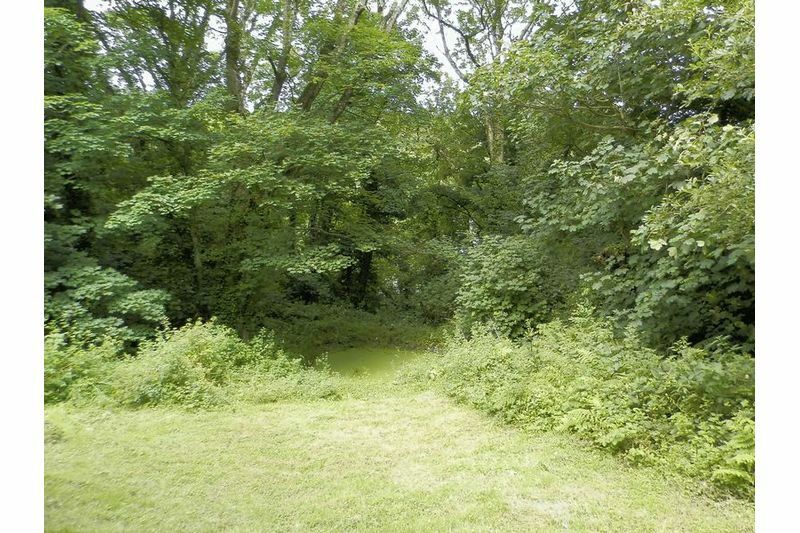 There are lots of possible uses here subject to any consents that may be required and is ideal for those buyers wanting both a piece of history and to be close to the beach....its really quite rare ! 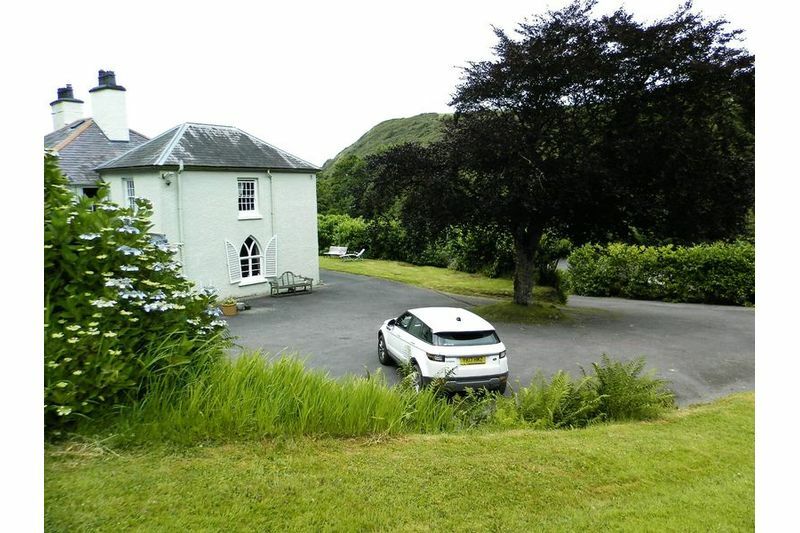 Set within private grounds, a short walk to the beach, Glandwr, a Georgian Grade 11 listed country house, dates back to 1809. This date is carved into the beam above the large fireplace, in the living room. 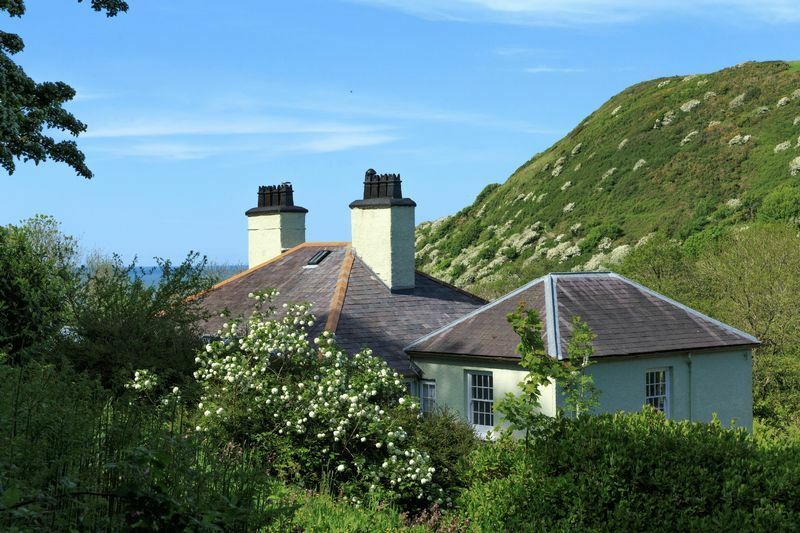 Situated in picturesque Tresaith, a small village on the stunning South Ceredigion coastline, the house was built by one of Cardiganshire&apos;s major landowners of the time, John Lloyd-Williams, of the Gwernant estate, as his family&apos;s summer home. Glandwr is rumoured locally, to have engaged the expertise of the famous "John Nash", architect of Buckingham Palace and Regent Street, London. 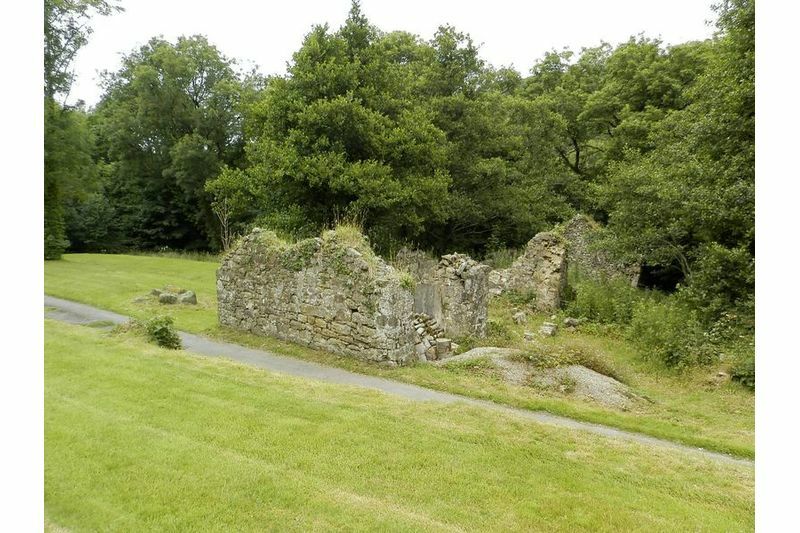 No documentation remains, to prove this point, but it is certainly clear that "Nash" was known to work in the area at the time, following his building of the Llanarchaeron estate near Aberaeron. 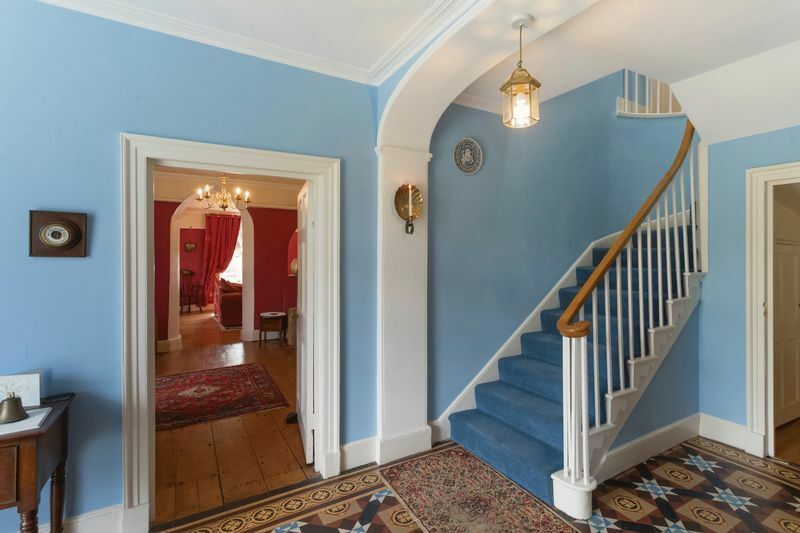 Thankfully some typical ‘Nash’ influences such as the splendid overstairs ’lantern’ light, gothic arch windows and curved ceiling covings, are strong features in the house. Local people still refer to Glandwr as ‘the Nash house’. 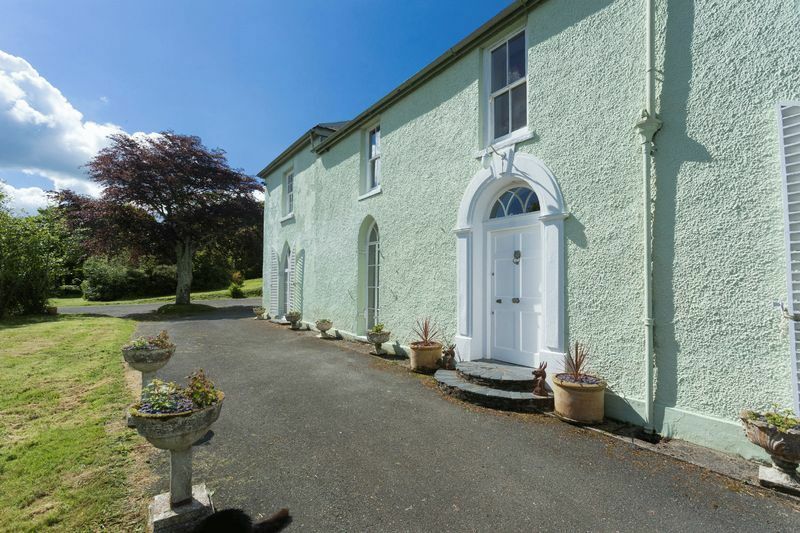 By the end of the 19th century, Glandwr was rented by Newcastle Emlyn solicitor, Benjamin Evans. His daughter, Ann Adalisa Evans, nom de plume Allen Raine, was one of the period&apos;s most popular novelists. Her works were so renowned in Britain, America and Europe, that some of her stories describing rural life in West Wales, were made into early silent movies. Allen Raine maintained a close association with Glandwr. In 1872, when she was 36, she left Glandwr and Tresaith, in her pony and trap, to marry Beynon Puddicombe in the local ancient parish church, St Michael&apos;s, Penbryn. She is now buried in the same churchyard. 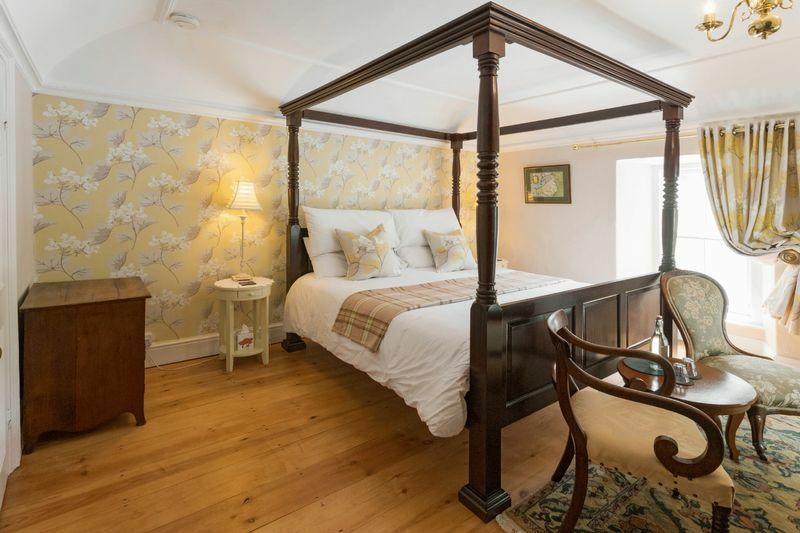 Glandwr was extended several times over the years, and following a long period as a small hotel in Tresaith, the house was sympathetically restored and modernised to the comfortable and welcoming family home it is today. 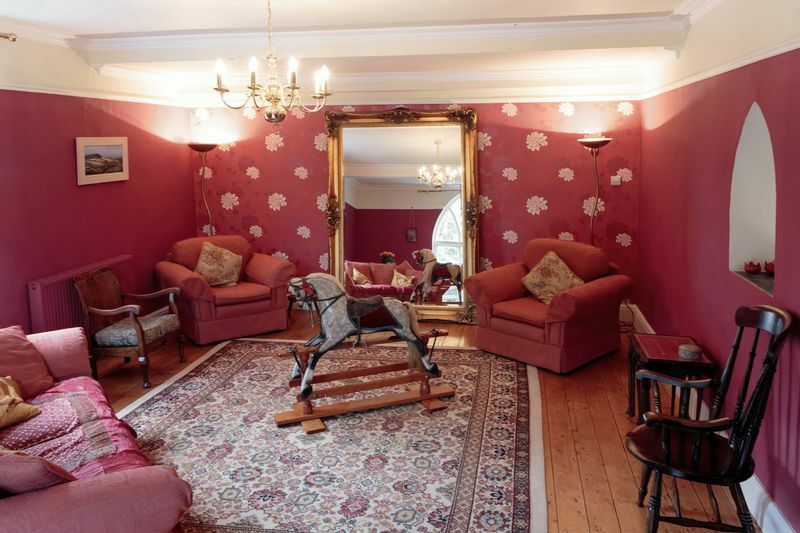 With feature Gothic arched French windows, fireplace with wood-burning stove inset, plate racks, coving to ceiling, Gothic archway through to sitting room. With exposed timber floor, original arch window & french door and 2 Gothic arch display alcoves, coving to ceiling, 2 radiators. 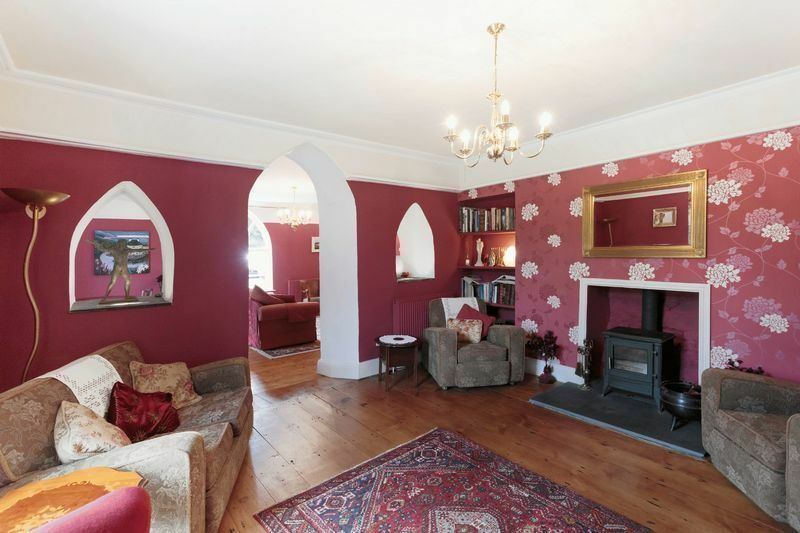 With Gothic arched window to the front, exposed wooden flooring, feature tiled fireplace with painted slate surround, French doors through to Kitchen/Breakfast Room. 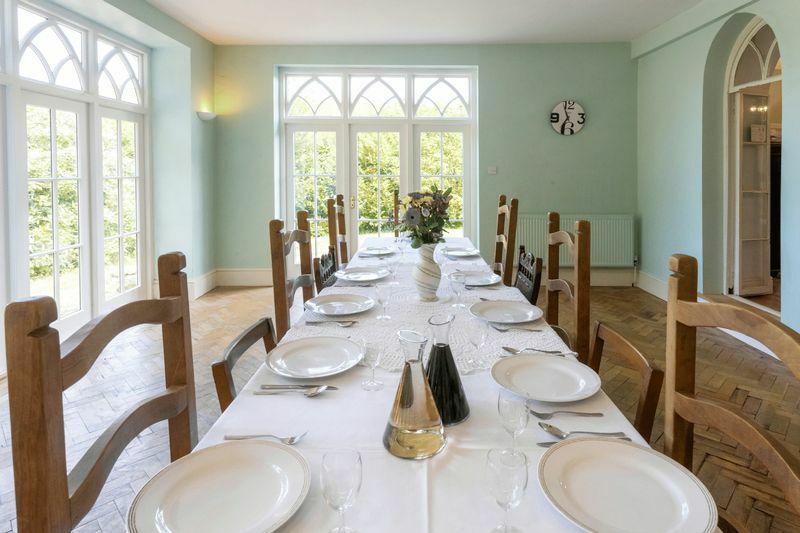 A very attractive room with 4 floor-to-ceiling 8&apos; wide windows providing plenty of natural light, parquet flooring, 2 radiators. 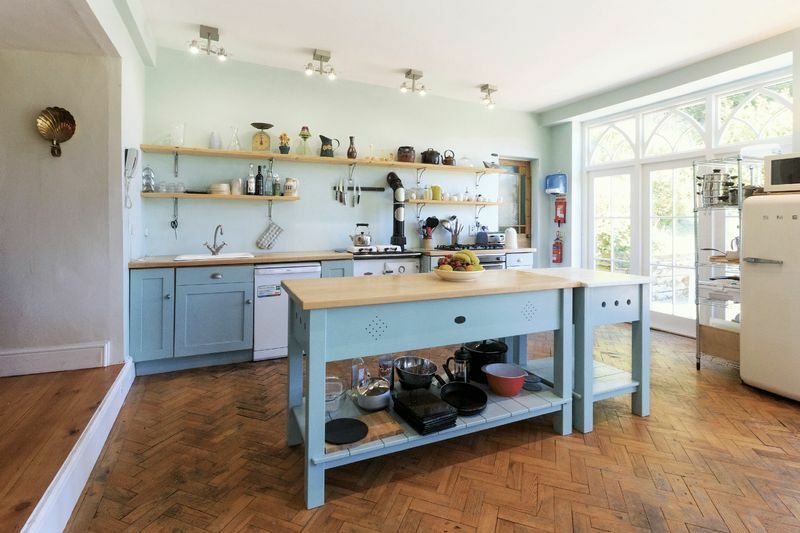 There is a range of kitchen units with beech work surfaces over, a "Rayburn Royal" cooking range, integral "Stoves" 5-burner LPG hob and matching stainless steel double oven, space and plumbing for dishwasher, sink, spot-lighting. 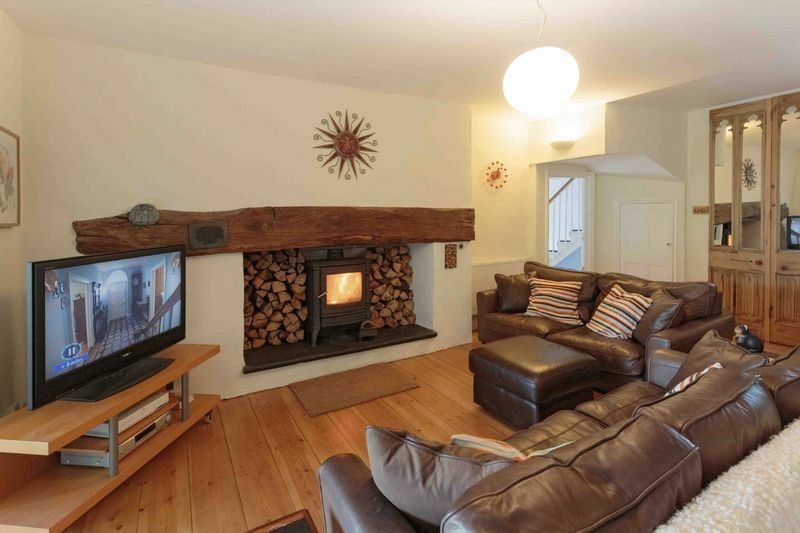 With wood-burning stove on slate hearth set in fireplace with original 1809 carved beam over and with Gothic arched wood store to either side, radiator, double doors through to Laundry. With quarry tiled flooring, radiator. With Teratazzo tiled flooring, door out to rear, double doors to sitting room. With space and plumbing for washing machine, stainless steel sink/drainer unit, houses the oil-fired "Grant" boiler serving the central heating, quarry tiled floor. Again with quarry tiled floor, door out to rear. 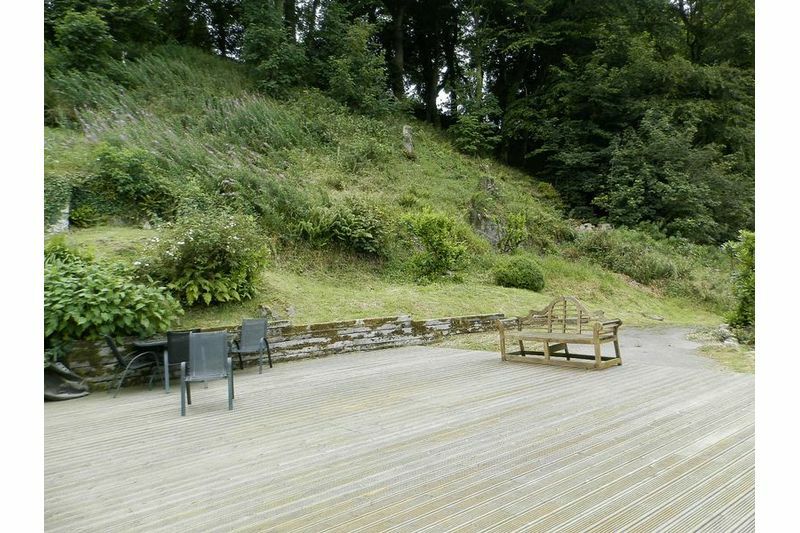 Fully tiled with large shower cubicle, wash hand basin, low level flush WC, heated towel rail. With under-stairs bespoke circular shelving. 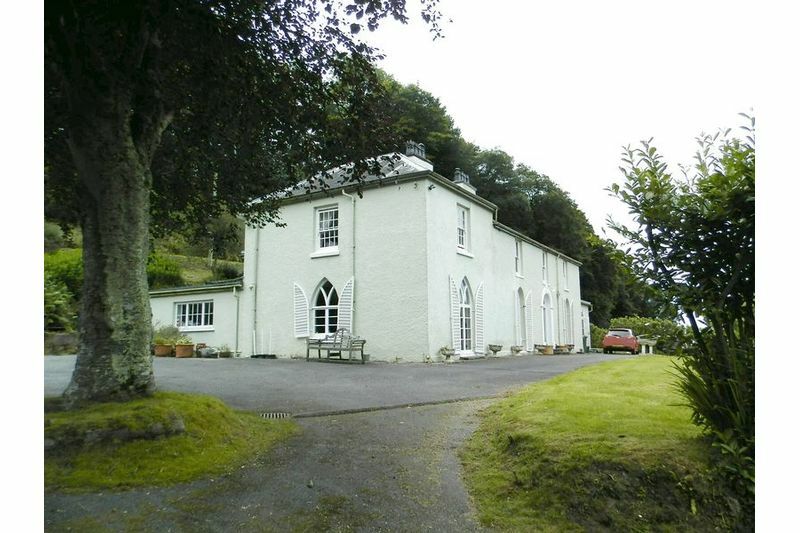 With 2 windows providing views towards the sea, original arched ceilings, exposed timber flooring, radiator. With glazed "Atrium" roof, exposed stonework to one wall, tiled walls and tiled flooring, pedestal wash hand basin, low level flush WC, panelled bath with shower over, heated towel rail, extractor fan. With glazed "Atrium" roof, exposed stone to one wall, tiled walls and tiled floor, pedestal wash hand basin, panelled bath with shower over, low level flush WC, heated towel rail, extractor. 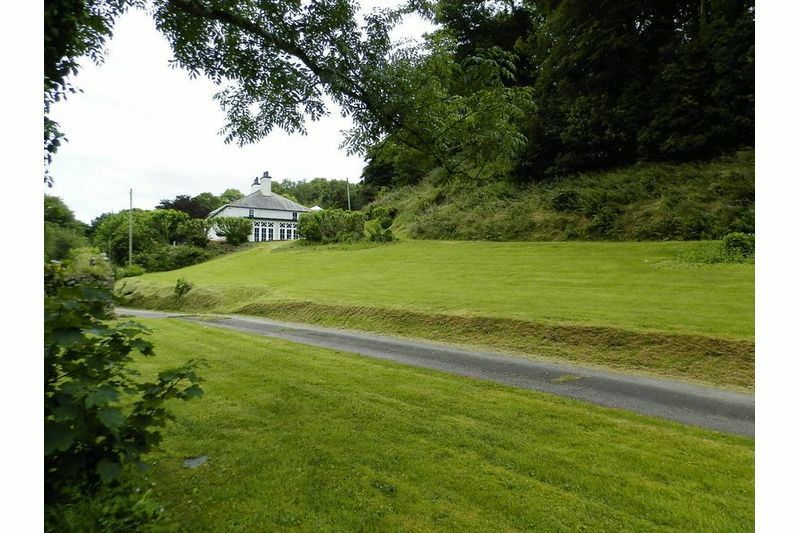 Split level with large pedestal wash hand basin, low level flush WC, built-in cupboards, tiled walls, arched ceilings, heated towel rail and steps down to the bathing area which has a glazed "Atrium" roof, panelled bath, large shower cubicle. 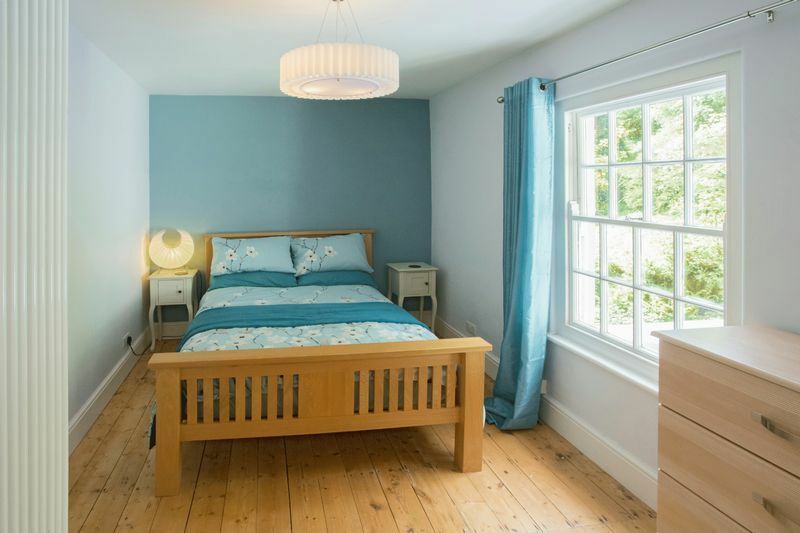 With window to the front, a range of built-in wardrobes, original arched ceiling, exposed timber floor, radiator. 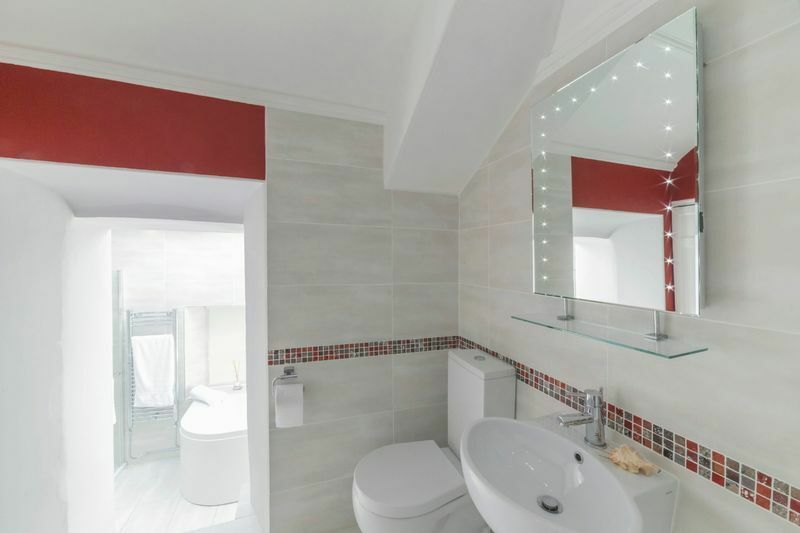 Fully tiled walls and floor, wash hand basin set in vanity unit with mirror/lights and cupboards under, low level flush WC, large shower cubicle, heated towel rail. 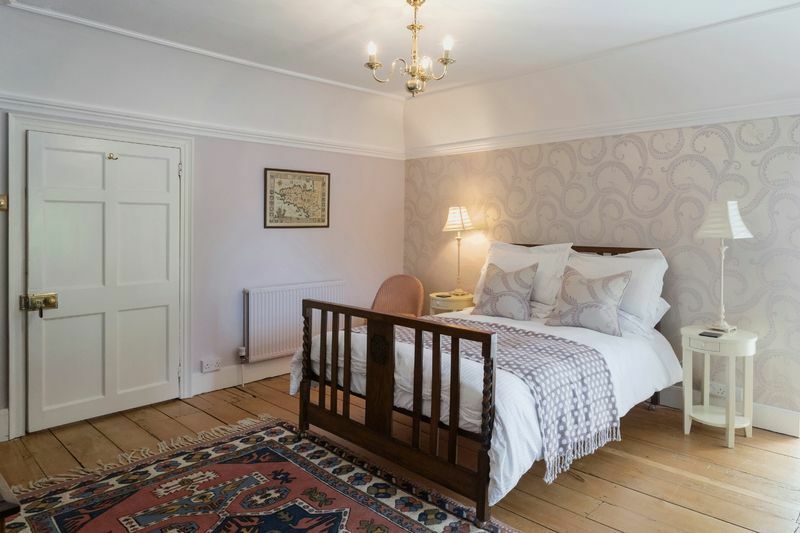 With window to the front, shelved alcove, arched ceilings, exposed timber floor, radiator. With window to side, exposed timber flooring, radiator. With 2 windows to rear, exposed timber flooring, radiator. 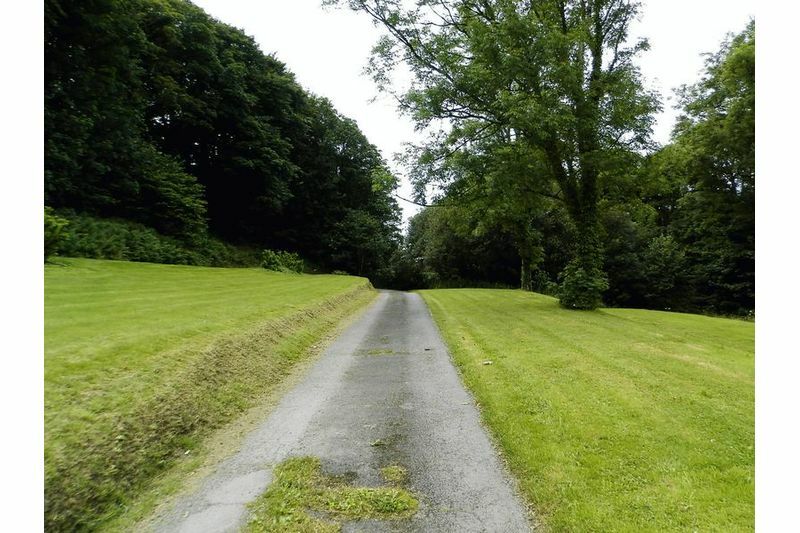 The property is approached via its own private tarmac driveway which leads through woodland and pasture to the property. 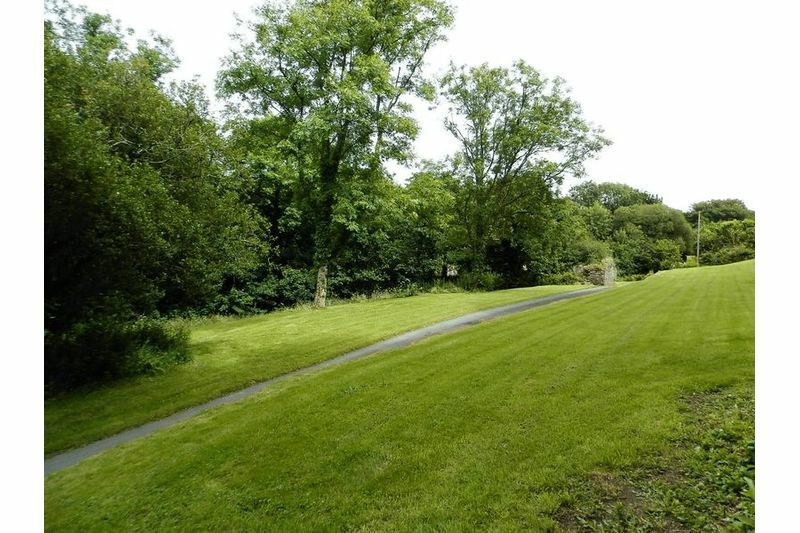 The grounds are surrounded by mature woodland and have grassland areas with a small pond. 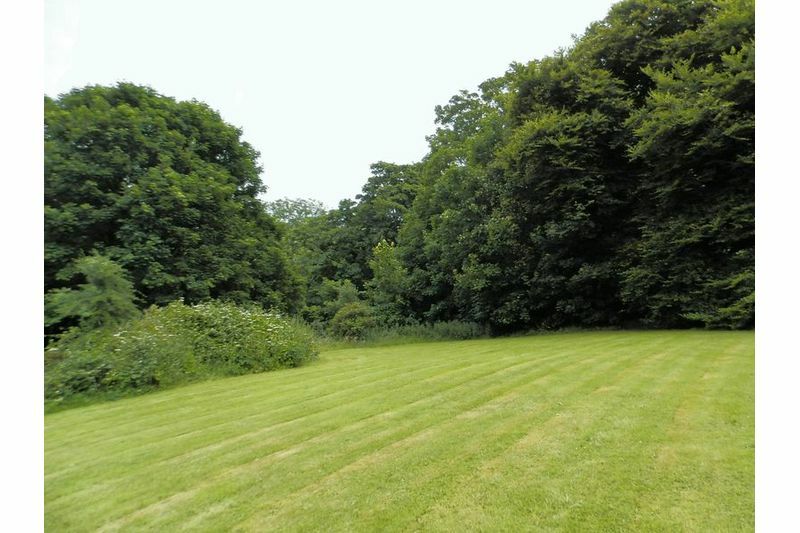 The property is set within its grounds which include gardens, grounds & paddock amounting to some 5 acres. 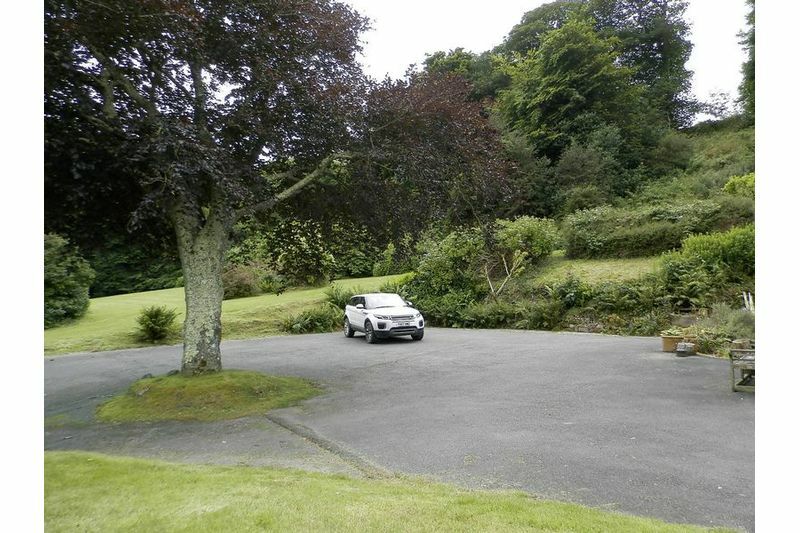 The gardens provide plenty of peace and seclusion and yet located just a few minutes walk from Tresaith village & the beach. 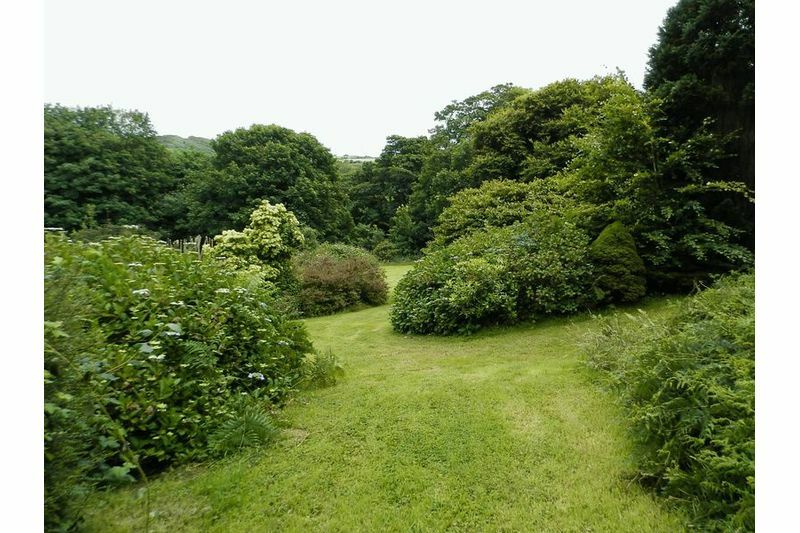 There is a well-stocked orchard, garden with polytunnel, poultry shed and run and an old corrugated iron-constructed outbuilding (formerly a chalet) which has 3 rooms. There is also a useful store shed with double doors & measuring approx 26&apos; 0" x 12&apos; 3" (7.92m x 3.73m).